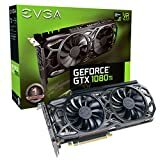 Apr 06, 2017: I didn't see it mentioned here, but you can now preorder any of the non-founder EVGA 1080 Ti cards on Amazon if you have the link. Here are the links. Jul 20, 2017: Will this GTX 1080ti fit in my Corsair Carbide 100R? Jul 30, 2017: What to buy first: monitor or gtx 1080 ti? Sep 06, 2017: Is there a difference between these two 1080ti? Sep 11, 2017: Question about 3rd party seller warranty. Dec 01, 2017: Hi there everyone. May have been an oversight on compatibility with my case and the graphics card regarding dimensions! Need help! Jan 06, 2018: Building a machine for Molecular Dynamics research, Uncertain on component compatibility. Jan 07, 2018: I need to build two high end gaming desktops for around $2000 each. Feb 04, 2018: 1080 Ti Blower Cards are 929 bucks on Best Buy Right now. May 30, 2018: What are the differences? May 30, 2018: Which one?! May 30, 2018: FTW3 or SC black? Nov 26, 2018: 1080ti 750$. Hidden deal?